very comfortable summit - nice spot for a summit nap. great views. 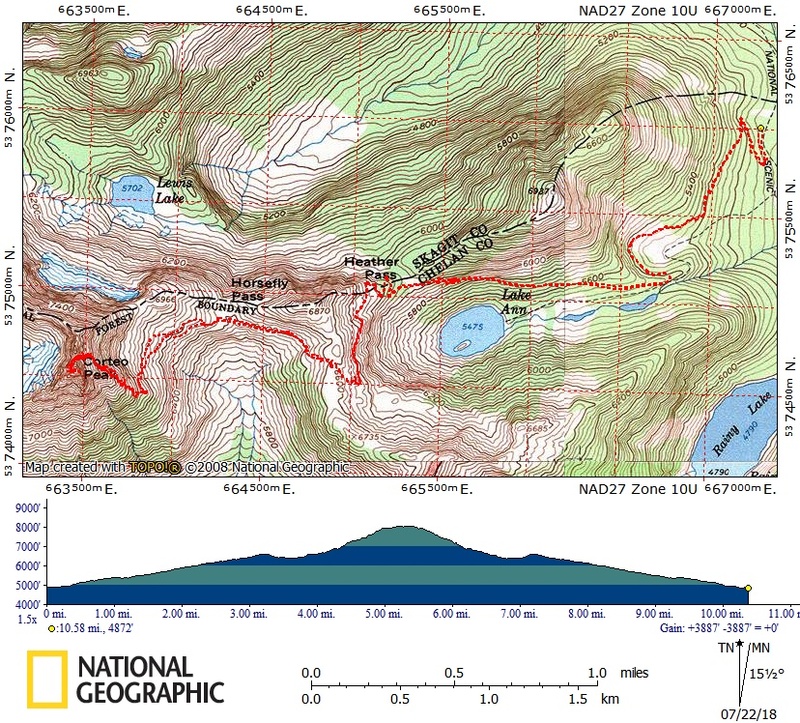 although there were no moves more difficult than easy class 3, it would be very easy to greatly underestimate this route. we spent hours on very steep terrain, downsloping rock, dirt and gravel on slabs, loose rock and just a lot of terrain that required constant vigilance and this was how it felt for my companions who are both extremely experienced and who nailed the route. it would have been very easy, if we had got off-route even slightly, to get into loose class 4 or more. this was not the worst route i have been on, as the last bit getting to summit was fun and no one part was that bad, it was just a lot of time spent on terrain that required attention. i love having friends on routes with me, but was very happy we were only a party of 3. four would have been too many and although i enjoy the company of people who are just starting alpine climbing, i was overjoyed i was only with real vets. always a pleasure to travel with great friends, probably not returning via this route. 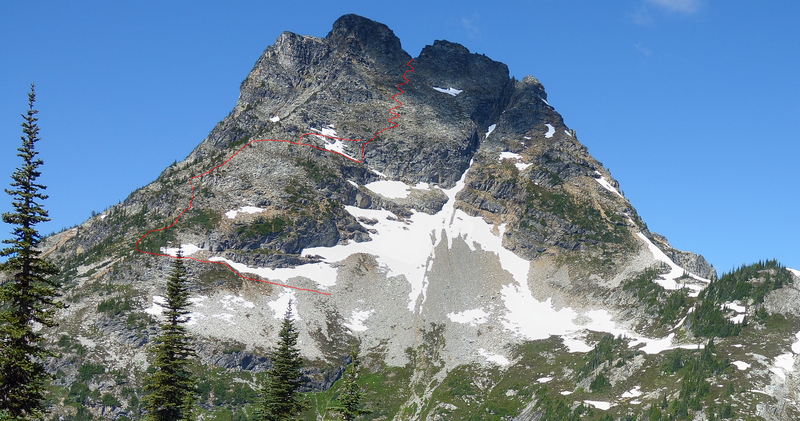 quick and dirty route info: park at rainy pass, hike trail past heather pass, at no hunting sign take trail over to horsefly pass, then traverse over to corteo se ridge/face, ascend corteo se ridge/face to ~7250' and then traverse over to se face, ascend se face to notch climber's right of summit, pass through to w side of notch, descend a few feet down and take ramps, descending a couple of levels, traverse to due west of summit and then ascend solid blocky easy class 3 gulley/face to a few feet right of summit(sw ridge) and then easy class 2 to summit.